Apple is all set to unveil the follow up to the original iPad Air later this year. But what can you expect from Cupertino this time around? Released last year, Apple's iPad Air has been a huge sucess. In fact, it sits just below the Apple iPad Mini with Retina Display in T3 magazine's guide to the top ten smartphones. Of course, things never stay still in the tech world and Samsung is straying well into iPad Air territory with it's new Samsung Galaxy Tab S slate. 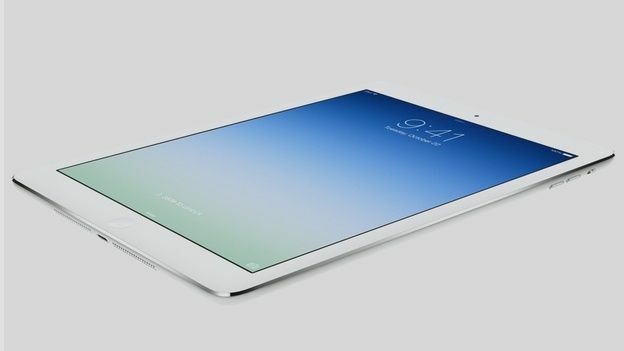 So, chances are Apple will reveal the iPad Air 2 later this year and there are already plenty of rumours surrounding it. Here's what we know so far. While rumours of a larger iPad Pro have continued to do the rounds, it's looking increasingly likely that the iPad Air 2 will retain the 9.7-inch screen of its predecessor. What is likely to change is the thickness of the tablet. Going on Apple's previous behaviour, we expect that it look almost the same as the current iPad Air. Indeed, the images that have leaked so far suggest that is the case. Images published earlier this year appear to show that the iPad Air 2's display will be built into the front facia. If genuine, that suggests that Apple will be able to shave a couple of millimetres off the tablet. When Apple sticks with the same design, it's usually the specs that get exciting. This year doesn't appear to be any different – with analysts predicting that we'll see an A8 processor in the iPad Air 2 when it launches later this year. According to KGI analyst Ming-Chi Kuo, it's also likely that the iPad Air 2 will come with an 8 megapixel rear facing camera and the TouchID fingerprint scanner found in the iPhone 5S. That last point was backed up by a mention of the iPad biometric kit in iOS 7.1. This time last year, an iPad price drop would have seemed out of the question – however, Apple is increasingly cutting the price of its entry level models. It recently cut the price of its MacBook Air and iMacs by £100. That could mean we'll see the price of the iPad Air 2 drop when it arrives later this year. It probably won't be by £100, but a £50 would be nice. That would take the entry level model below £350 – a number that might just convince people to upgrade. It's the million dollar question – when will I be able to buy the iPad Air 2? Well, it's looking like it'll be November 2014. Previous models have launched around that time and Apple doesn't normally mess with its launch schedule unless it has to (think iPad 4). Of course, we'll keep you up-to-date with any new iPad Air 2 rumours, so remember to keep checking back here for the latest news.